Our mission is to inspire and self-empower you to live authentically with ease, joy, and love through a connection with Spirit. - Over 6 hours (8 mp3s) recorded “Alchemy of the Heart “ classes with “I AM” Retonements. - Three live group calls: 60-90 minutes. - Access to Recordings of calls will be available after these live calls. Embedded with the same potent energy. Are You ready to build the foundation for restoring Your Divine Self? Peace, completion, clarity…..are these states of being that your heart desires? Ready to release your physical, emotional, mental and spiritual blocks? The Alchemy of the Heart Series can accelerate your growth and is available now to support you! Alchemy of the Heart SeriesThis series is based of powerful Alchemical Synergy that is palatable throughout the teaching transmissions. Power teachings of Ancient wisdom downloaded with transmissions in this 3 part series that builds upon itself. Upgrade all cellular levels the body and all levels of awareness, build a foundation of restoring the divine self, collapsing the intrinsic pathways within the brain to reclaim and utilize your energy. In this 3 part series you will have opportunity to review what is peace. Clear the distorted matrices within your brain to the path of struggle.Release the concepts around the path of tragedy that bind you. These Retonements are Transmission Activations that clear out the distorted matrices that are in the 3D illusion so that you can embody the true essence that you are. Kimberly Crowe transmits a Field of potential to anchor higher dimensional octaves for sacred embodiment with Inner Awakened Mastery(I AM) Retonements. The “I Am” Retonements are energetic healing transmissions and channeled guidance that provide Multi Dimensional Healing. The recordings are embedded with Light Code Language which bypasses the intellectual mind and communicates directly with the Soul, Heart and Physical Body of the recipient. This speaks to the spiritual self to repair the Light Body and upgrade the octaves to the most beneficial potential. This mp3 is embedded with frequencies to support your journey. Restore the path of Peace with Gaia Earth as your partner in all Timelines and all dimensions. Heart cohesion: Integration of the path of peace with the three brains: heart, head and gut. Rebuke and Revoke all bindings of the lineage that has sabotage the receiving of accumulated knowledge. Teachings and Ascension upgrades for your support! Kimberly Crowe facilitates the activation of your Soul Enlightenment Codes within your Divine Blueprint with Infusions from the Divine. These calls are created for the forerunners who are ready to be the portals of the divine plan within your remembrance carried within your Soul, physical and spiritual essence. The call will be channeled in real time. Call duration about an hour to 90mins and will be recorded. Format is Q&A followed by Kimberly leading group with a journey, opening the recording and beginning the work. Come release from the distorted matrices that hold you back and step into your Divine full potential! These calls will be geared to the quantum field of the soul essence and infusion codes that are available for the highest benefit.Spirit has shown me the matrix of the new Earth that is waiting to be birthed this synergy lies within the imaginal cells of your blueprint. It is time to remember the future to create it now. ​Kimberly as guided by spirit will upload the group with retonements that will enhance the frequencies that are available now for you to support your divine alignment. I highly recommend Kimberly's Inner Awakened Mastery Retonements. She has such direct guidance with Spirit that her sessions are mind blowing. Such powerful life changing healing comes from her work. She is on the leading edge of this world's movement to Yes! Kim has been my go to/on speed dial since 2005 after my first session, removing the the blockages then and still...I have taken her classes and feel that I have evolved and helped others as well from her healings and teachings. I feel I have connected to her on so many levels (as she has been though all my trials and tribulations since the first time I met her) because of her openness to shine her spiritual light and allowing others to see her inside and out to share that light and dispense any darkness. Just wanted to share my lovely experience of Kimberly working on me the other day. She cleared some events that occurred in utero that were both fearful and destabilizing to my soul. Afterwards I felt a great peace within me and a new compassion for my mother as a person on her own difficult life journey, as well as an unexpected tenderness when I"accidentally" stumbled across some old pictures of her a few days later that I hadn't looked at in years. All in all, a very successful session! In my experience with Kimberly, I believe she is a true master teacher. She knows who she is . She knows what to do because she listens to her own divine guidance. She clears and maintains a sacred space where all are welcomed to participate in self healing. There are many lights upon this planet at this time.+Kimberly's shines brighter because of her authenticity, integrity, Love,and courage to speak her truth. For those that want to hear about tangible results, I invite you to have your own experience with her. It is beyond words, and like nothing you have experienced before. She brings the new energies that are available to the Now. Our current words are not adequate to describe. It is about feeling , not using words. Bringing our future selves to the present. Gift yourself with her presence. Thank YOU, Kimberly for all you do. Kim Crowe is my go to healer. She's tuned in and when she works on you she doesn't just make you feel better. She removes the bothersome problem and counsels you on how to keep it from returning. I've taken her classes. Been in her sessions. And had one on one support through her gifts. She's talented. Hard working. Ethical and a joy to know in every way. I worked with Kim at a time of tremendous change in my life. I found her healing energies amazing, she was insightful and quick to laugh. 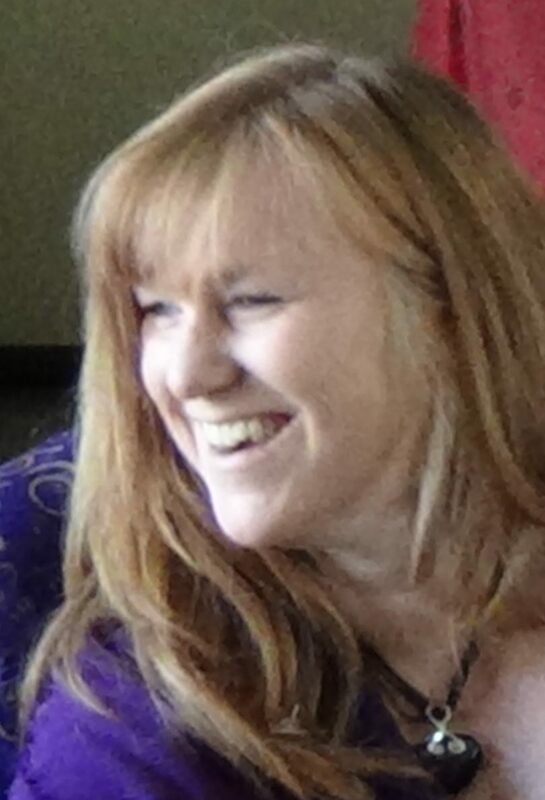 Kim is a outstanding healer who was a facilitator in bringing forth a new platform for me of my divine purpose. I am so grateful for this teacher, healer, visionary...she is pure love. I have had two private healing sessions with you and each one was profound. The focus and integrity and heaing energies coming through you definitely feels like the healing presence of God coming through you. Thank you for all that you are and that you help to facilitate for the good of all open to receive. May you be blessed beyond measure. I have attended your downloads of frequencies for three different times now.The energies coming through are amazingly powerful from start to finish and integration happens easily. Am consciously aware of a shift in who I AM which is permanent and grounded. You definitely have a gift in being able to facilitate this and I am grateful to be able to participate. I am so grateful that you have chosen to be on the planet at this time. What you offer cannot be measured. Thank you.Infinite blessings and love to you. As someone who has been blessed to frequently experience her work, via her private sessions, group events and recordings, I can say that Kimberly is one of the most powerful healers and consciousness accelerators I have ever had the privilege of working with! Yes! Kim has been my go to/on speed dial since 2005 after my first session, removing the the blockages then and still...I have taken her classes and feel that I have evolved and helped others as well from her healings and teachings. I feel I have connected to her on so many levels (as she has been though all my trials and tribulations since the first time I met her) because of her openness to shine her spiritual light and allowing others to see her inside and out to share that light and dispense any darkness. I have known Kim for many years now, she has done readings/healings for me. I have taken many classes she has instructed, she has worked on me in person and over the phone, she has always helped me in whatever is for my highest and best good in every way possible from physical pain in my body to panic attacks from a car accident and everything else. 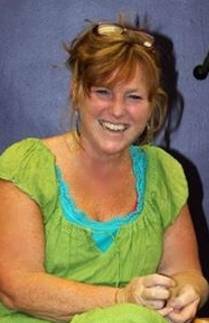 Kim Crowe has my highest regards as a Person, Healer, Teacher and all around Spiritual Connection. I have received help from Kimberly Crowe for over two years and hope to continue doing so for many more. She gives great non-judgmental and discreet assistance, and I’m comfortable sharing intimate details with her when needed. She relays information to me which is sometimes hard to hear, but she always does so in a loving manner. She’s down to earth and has a good sense of humor, too. Her energy work sessions are fantastic…so soothing yet also rejuvenating. As an empath, I pick up many emotions etc. from others. Kimberly helps me to determine and to dismiss the stuck ones which don’t belong to me. I had a very disruptive longstanding physical problem which was resolved late last year,very soon after Kimberly revealed it stemmed from an ancient familial curse and assisted me in breaking its chains. In addition I began suffering from a ‘frozen shoulder’ in November 2014. (Frozen shoulder is a very painful long-lived malady - usually lasting at least 18 months - which has two painful phases before it gets to the final third phase and begins to heal.) I sought Kimberly’s assistance with this problem in Spring 2015. After she determined and resolved its energetic root in a single session, the final (healing) phase was immediately initiated. The healing phase has continued, and I expect to have normal range of shoulder/arm motion restored soon. Kimberly has also recently done a beneficial energy work session for my ten year old son, who greatly enjoyed it. She is very knowledgeable about crystals and minerals, and makes good use of them during her work. I‘ve purchased several items of mineral/crystal jewelry from her, and she does beautiful wire-wrapping. Kimberly is a very skilled, highly knowledgeable, and very caring soul whose work I highly recommend. I've known & enjoyed receiving various guidance/assistance from Kimberly Crowe for over 20 years. Firstly attended her guided meditation class, which was awesome. Later while I was enduring a difficult divorce, Kimberly identified the soul contract connections between me and my immediate family members. This helped tremendously in resolving my emotional upheaval at the time. I have also been blessed to experience a multitude of Kimberly's energy work sessions over the years, both in person and by phone. Subsequent to each session, I have experienced a wonderful energetic boost (due to all my chakras and meridians being balanced) in an ongoing process for several days afterward. Kimberly is an energetic 'sanitation engineer' who over the years has removed a truckload of accumulated energetic trash from me! Lol. Her communication with Spirit and Higher Self finds and clears out blockages which also cause physical ailments. This has facilitated my own ability to be of service to myself and to others. Kimberly is a highly skilled practitioner in many areas, and I'm honored to also consider her to be my good close friend. Kimberly Crowe is an Everyday Mystic and is known as "The Healers' Healer." She is the Sacred Witness to the Inner Awakened Mastery ("I Am") Retonements. She is an internationally known visionary teacher, artist and transformational healer with 30 years' experience. Kimberly witnesses the matrices of the Divine (and not so Divine). She uses this awareness to transmit multidimensional healing frequencies infused in Light Codes. She holds space to assist the awakening of your Mastery purpose for its highest expression, bypassing the rational mind and clearing obstacles to destiny embodiment.Kimberly's transformational "I Am" retonements are received from Greater Aspect and gifted to humanity. These retonements speak directly to your core essence, activating DNA and allowing your Master Self to retone your individualized energy signature. Kimberly's sessions accelerate life-changing solutions by transcending destructive energetic matrices so that your divine essence is fully empowered. Get instant access to Package A now! Access to Recordings of calls will be available after these live calls. Embedded with the same potent energy. © 2019 ﻿﻿﻿﻿﻿Kimberly Crowe - All Rights Reserved. IMPORTANT MEDICAL DISCLAIMER: The information on this site is NOT INTENDED or IMPLIED to be a substitute for professional medical advice, diagnosis or treatment. All content, including text, graphics, images and information, contained on or available through this web site is for general information purposes only. Please see a medical professional if you need help with depression, illness, or have any concerns whatsoever. WE DO NOT OFFER MEDICAL ADVICE, COURSE OF TREATMENT, DIAGNOSIS OR ANY OTHER OPINION on your conditions or treatment options. SERVICES OR PRODUCTS THAT YOU OBTAIN THROUGH THIS WEB SITE are for information purposes only and not offered as medical or psychological advice, guidance or treatment. Results shared are not typical. You may or may not experience anything from our sessions, the services provided by teachers, speakers and guests. Please consult a medical professional if you are experiencing illness, depression, anxiety, mood swings or any concerns whatsoever. CONSUMER NOTICE: You should assume that Awaken To Happiness Now & Shefali Burns have an affiliate relationship and/or another material connection to the providers of goods and services mentioned on this page and may be compensated when you purchase from a provider. You should always perform due diligence before buying goods or services from anyone via the Internet or offline. 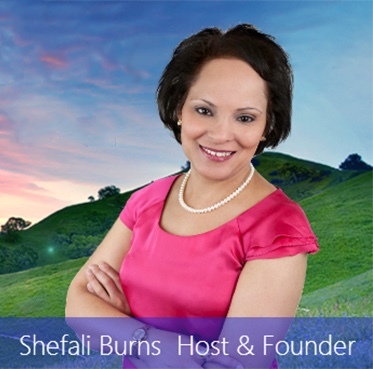 REFUND POLICY: Awaken To Happiness Now & Shefali Burns appreciate and values all our listeners and speakers. As a show of our appreciation, we are happy to offer a 30 day, no questions asked Money Back Guarantee to our valued customers to better help them discover if a product will work for them. However, as a way to help show our speakers how much we treasure their knowledge and hard work, a refund can only be offered on one package per customer in a 90 day period. Multiple refunds requested by the same customer within 90 days will not be accepted. Should the speaker's offer involve a personal session or a no-refund policy, the guarantee will be voided in the event that the session has been used. Additionally, all requests for refunds should be submitted within the 30 day guarantee period. We appreciate and thank all our listeners for understanding and respecting this guarantee.